Seniors are particularly vulnerable to tactics of scam artists who are “nice” or attempt to develop a false bond of friendship. Scam artists prey on seniors who are polite to others and have difficulty saying “no” or feel indebted to someone who has provided unsolicited investment advice. Ask questions and check out the answers. Fraudsters rely on the fact that many people simply don’t bother to investigate before they invest. It’s not enough to ask a promoter for more information or for references—fraudsters have no incentive to set you straight. Savvy investors take the time to do their own independent research and talk to friends and family first before investing. Make sure you understand the investment, the risk attached, and the company’s history. And remember, if the product sounds too good to be true, it is! Research the company before you invest. You’ll want to fully understand the company’s business and its products or services before investing. Before buying any stock, check out the company’s financial statements by using the SEC’s EDGAR database at www.sec.gov/edgar.shtml or contact your state securities regulator. Remember that unsolicited emails, message board postings, and company news releases should never be used as the sole basis for your investment decisions. Know the salesperson. Spend some time checking out the person touting the investment before you invest—even if you already know the person socially. Always find out whether the securities salespeople who contact you are licensed to sell securities in your state and whether they or their firms have had any troubles with regulators or other investors. You can check out the disciplinary history of brokers and advisers quickly—and for free—using the online databases of the SEC and the Financial Industry Regulatory Authority (FINRA). Your state securities regulator may have additional information. Never judge a person’s integrity by how he or she sounds. Successful con artists know how to sound professional. They can make even the flimsiest deal sound like a “sure thing.” Con artists know that the appearance of professionalism combined with polite manners or overtures of friendship may lead many older investors to accept their advice. Watch out for salespeople who prey on your fears. Con artists know that many seniors worry about the adequacy of their retirement savings, especially if they are facedwith costly medical expenses. As a result, fraudsters know to pitch their schemes as a way to increase the older investtor’s financial security to the point where such fears are no longer necessary. Take your time—don’t be rushed into investment decisions. Just because someone you know made money, or claims to have made money, doesn’t mean you will too. Be especially skeptical of investments that are pitched as “once-in-a-lifetime” opportunities, particularly when the promoter bases the recommendation on “inside” or confidential information. Remember that a fraudster does not want you to think too much about the investment because you might figure out the scam. Be wary of unsolicited offers. Be especially careful if you receive an unsolicited fax or email about a company—or see it praised on an Internet bulletin board—but can find no current financial information about the company from other independent sources. Many fraudsters use email, faxes and Internet postings to tout thinly traded stocks, in the hopes of creating a buying frenzy that will push the share price up so that they can sell their shares. Once they dump their stock and quit promoting the company, the share price quickly falls. And be extra wary if someone you don’t know and trust recommends foreign or “off-shore” investments. When you send your money abroad, and something goes wrong, it’s more difficult to find out what happened and to locate your money. Don’t lose sight of your investments. Don’t rely on a financial professional who says “leave everything to me.” Always monitor the activity on your account and request regular statements. You should never feel uncomfortable about questioning any trading activity that you don’t understand. Remember—it’s your money. You also should keep all records of conversations that you have about any of your investments. Question why you cannot retrieve your principal or cash out your profits. If your broker, financial adviser or other person with whom you have invested your money stalls when you request your principal or profits, this may be because that person has already pocketed your money. Don’t be fooled by explanations as to why your money is inaccessible or by suggestions that you roll over your “profits” into other investments. Never be afraid to complain. If you suspect fraud or a questionable practice and the explanations that you receive are not satisfactory, do not let embarrassment or concern that you will be judged incapable of handling your own affairs prevent you from filing a complaint with the SEC, FINRA, or your state regulator. This article appears in a compilation by the federal government; click here to view more consumer publications. 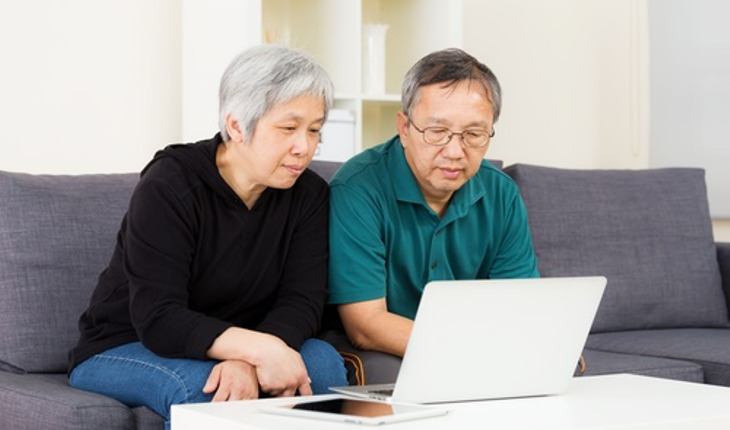 For more information on how to protect yourself from investment fraud, click here to download the SEC’s booklet, A Guide for Seniors: Protect Yourself From Investment Fraud.